Join us! New Insights on Desalination & Reuse Trends & Solutions from SUEZ Water Technologies & Solutions, Gain insights on desalination and water reuse market trends from industry leader, Miguel Angel Sanz, President of IDA, and Dir. of Strategic Development Treatment Infrastructure, SUEZ. Listen and collaborate on desalination and reuse plant optimization using advanced technologies with Erik Hanson, Director of Product Management for RO, NF, and E-Separations at SUEZ Water Technologies & Solutions. technology, such as UF, SWRO, filters, equipment, and chemicals. Miguel Angel SANZ is actually Director of Strategic Development in SUEZ, Treatment Infrastructure Division, based in France. He joined the Degrémont group in 1983. He has been in several positions in the group in Spain and France as Technical Director, Desalination Manager, Proposal Director and Business Development Director. 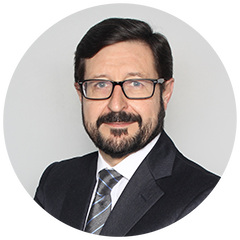 He is President of Board of Directors of IDA (International Desalination Association), and Director of AEDyR (Spanish Desalination and Reuse Association), being Vice President in both associations the last terms. He also served 8 years in the board of Directors of European Desalination Society. He has over 35-year professional experience in Desalination as well as in Drinking and Waste Water fields, in Municipal and Industry Markets. He has been active in innovation and worldwide promotion of membrane desalination field, publishing more than 50 papers on Desalination and Water & Waste Water Treatments. Industrial Engineer Master Degree received in 1981 from Bilbao High Technical School of Engineers. 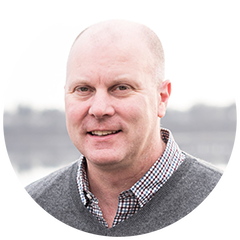 Erik Hanson is the Director of Global Product Management & Strategy for Spiral Wound Membranes, Electro-Separation Technologies, Filtration, and Equipment at SUEZ Water Technologies & Solutions located in Minnetonka, MN. He has over 25 years of experience in industrial and municipal water and wastewater treatment using membranes. Currently, Mr. Hanson is responsible for global product management and strategy for advanced filtration and separation products including reverse osmosis, nano-filtration, and electro-separations (EDI, ED, EDRI), with an emphasis on low energy, high water recovery, and robust process applications. Jason Cadera is the Director of ZeeWeed Product Business, located in Oakville, Ontario. He has 25 years of engineering experience in a broad range of disciplines including: product development, mechanical design, water & wastewater treatment, quality, process controls, manufacturing and operations. 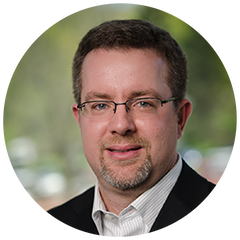 In Jason’s current role, he is responsible for ZeeWeed product management and product line strategy. N.B. The information contained in this entry is provided by SUEZ – Water Technologies & Solutions, and does not necessarily reflect the views and opinions of the publisher. © Faversham House Group Ltd 2019. Water. desalination + reuse articles may be copied or forwarded for individual use only. No other reproduction or distribution is permitted without prior written consent. In order to watch this webinar free of charge I am happy to share my contact details with the webinar sponsor, SUEZ – Water Technologies & Solutions. SUEZ – Water Technologies & Solutions would like to keep you up to date with their products and services. Please tell us the different ways they can contact you.